THIS DRESS HAS SOLD. CONTACT SALES@BRIDESFORACAUSE.COM WITH DRESS INQUIRIES. 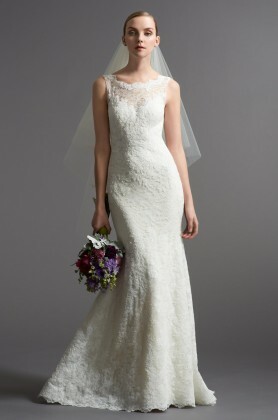 A luxurious beaded sweetheart neckline and beaded trim at the natural waistline accent this layered lace fit and flare. Satin and beaded buttons cover the back zipper and continue to the end of the chapel length train.